Kimberly Jones Perry gained her heavenly wings with family and friends by her side on Thursday, November 1, 2018. She was a graduate of East Ridge High School and Chattanooga State. She had been employed at Covenant Transport for 30 years. 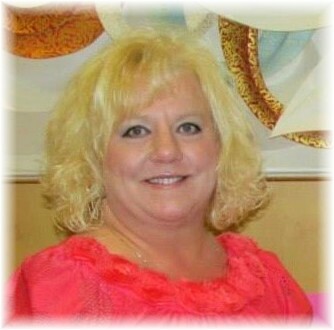 She was a member of Spring Creek Road Baptist Church. She was known for her fun loving spirit and love for others She was the most proud of Payten, her daughter, whom she loved dearly. Kimberly was preceded in death by her parents, Harvey and Edna Jones, and beloved sister, Pamela Feltman. Kimberly is survived by her husband of 21 years, Christopher Perry, daughter, Payten, Brother, Gene (Ann) Jones; Mother-in-Law Voreata (Tom) Waddell, Father-in-law, George (Reba) Perry. Brothers-in-law, Wendall Feltman, Sean (Christine) Perry, Nick (Becky) Waddell, Sam Waddell, David (Cindy) Perry, sister-in-law Amber (Steven) Stone. Cousins Theresa (David), Justin and Tiffany Baughn. Nephew, Adam Feltman; nieces Alyssa Feltman, Talula and Delphi Perry; Ahna, Mia, and Nicole Waddell, Bella and Gabby Stone. Great nephew, Carson Pierce. The family wishes to express their heartfelt thanks for the care, concern, and treatment shown to Kimberly at Parkridge East ICU.